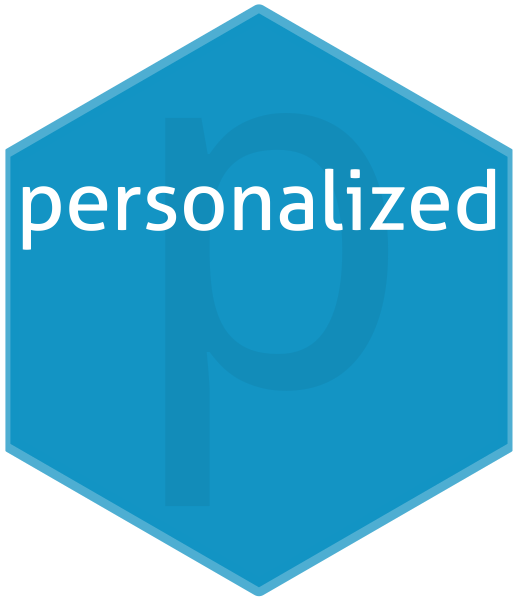 The ‘personalized’ package is designed for the analysis of data where the effect of a treatment or intervention may vary for different patients. It can be used for either data from randomized controlled trials or observational studies and is not limited specifically to the analysis of medical data. The personalized package provides estimation methods for subgroup identification under the framework of Chen et al (2017). 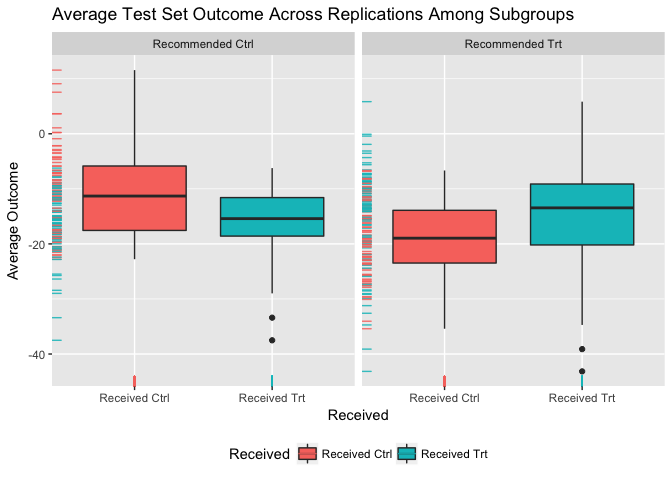 It also provides routines for valid estimation of the subgroup-specific treatment effects. ##       the expected outcomes conditional on subgroups. 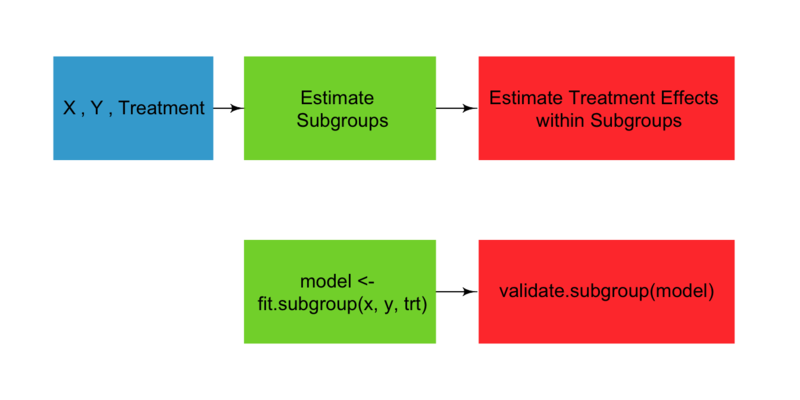 ##       Use 'validate.subgroup()' to obtain unbiased estimates. ## 9 out of 50 interactions selected in total by the lasso (cross validation criterion). ## The first estimate is the treatment main effect, which is always selected. ## Any other variables selected represent treatment-covariate interactions.